New Directions Publishing Corporation, 9780811215473, 130pp. As through a crack in the wall, By Night in Chile's single night-long rant provides a terrifying, clandestine view of the strange bedfellows of Church and State in Chile. This wild, eerily compact novel Roberto Bolano's first work available in English recounts the tale of a poor boy who wanted to be a poet, but ends up a half-hearted Jesuit priest and a conservative literary critic, a sort of lap dog to the rich and powerful cultural elite, in whose villas he encounters Pablo Neruda and Ernst Junger. Father Urrutia is offered a tour of Europe by agents of Opus Dei (to study "the disintegration of the churches," a journey into realms of the surreal); and ensnared by this plum, he is next assigned after the destruction of Allende the secret, never-to-be-disclosed job of teaching Pinochet, at night, all about Marxism, so the junta generals can know their enemy. Soon, searingly, his memories go from bad to worse. 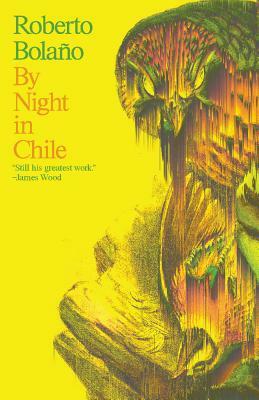 Heart-stopping and hypnotic, By Night in Chile marks the American debut of an astonishing writer.